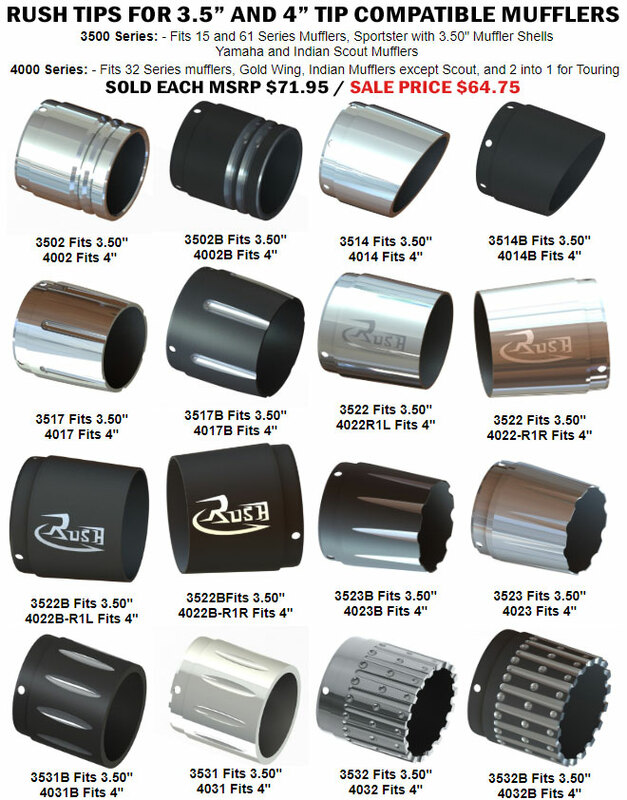 Rush Racing's Tip Compatible Mufflers allow you to change your exhaust tips for a different custom look, or replace a damaged tip. Choose 4 inch or 3.5 inch, depending on which size mufflers you have. Tips are Sold Each so you do not need to buy a pair if you have only damaged one tip.